MADRID (AP) — Sevilla’s letdown couldn’t have come at a worse time. The team’s recent performances have raised concerns just ahead of a decisive Champions League match against Leicester on Tuesday. 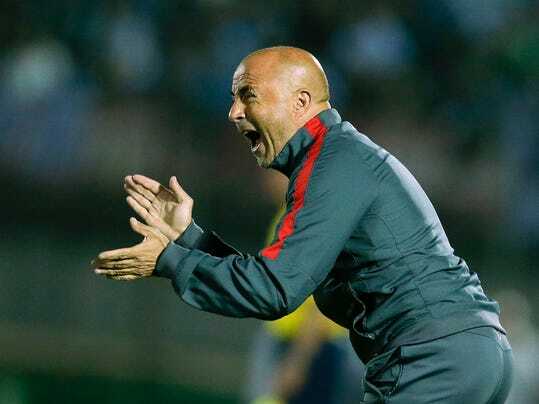 “I’m worried about the team’s behavior,” Sevilla coach Jorge Sampaoli said after his team was held to a 1-1 home draw against relegation-threatened Leganes in the Spanish league on Saturday. It was the second-consecutive setback for third-place Sevilla after a run of five consecutive victories in all competitions. It had also been held to a 1-1 draw at Alaves in the league. On Basketball: The Warriors Want Steve Nash in Their Ring Ceremony. He’d Rather Pass.